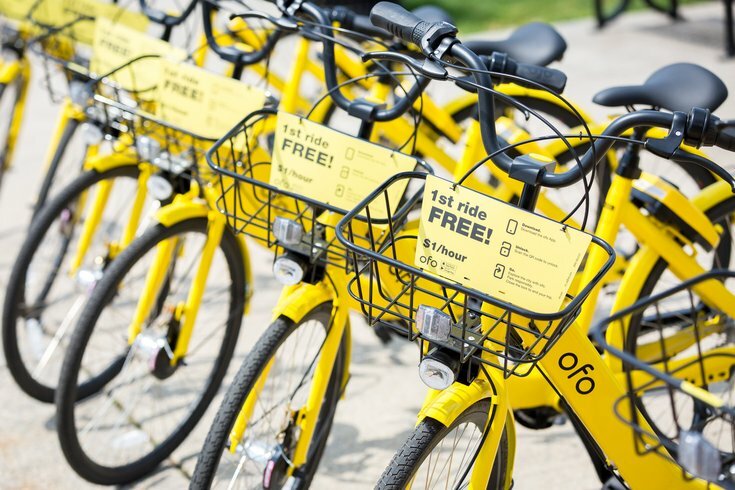 In May, Camden excitedly announced the arrival of a new dock-less bike share program to the city in partnership with Beijing-based bike-share company Ofo. In less than 100 days, the yellow bikes had arrived and then were gone. Well, it turns out the bikes are not actually gone. The company apparently left behind a stockpile of its trademark bicycles when it exited the Dallas market last month, and a Dallas-area recycling plant bought the bikes as scrap metal. So what happened to the yellow bikes that Ofo placed all over Camden just a few months ago? Kris Kolluri, CEO of the Cooper’s Ferry Partnership (which partnered with Camden and Ofo in the bike share pilot program), told PhillyVoice on Tuesday that Ofo left about 80 bikes behind when it left Camden. The bikes are in a warehouse, Kolluri said, and the remaining members of the venture have yet to determine what to do with the neon-colored cycles. If you’ve followed the saga of Camden’s bike share experiment, having 80 in hand is sort of surprising. The Bicycle Coalition’s John Boyle reported that after just one month, the Ofo fleet had been substantially depleted. What we found is that only a tiny percentage of the 200 bikes were available for use. On May 9th, we located only 26 available bikes on the app. One month later, on June 10, only seven total bikes appeared on the TransitApp map. Winding up stuck in trees in the U.K. In the end, all things considered, Camden recovering 80 of these bikes and holding them in a warehouse seems like a minor miracle. Now it’s time to decide what happens to the remaining fleet.